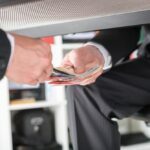 Several serious instances of corruption have occurred recently that have impeded the global crackdown of cases of financial misconduct and money laundering activity. Yet while this has had negative implications for the all in the financial services sector, they have also been viewed as a great opportunity to spark the global debate on corruption and to figure out how to deal with its widespread effects. In November, Global RADAR reported on the “Korean Disease” of political corruption, and examined a scandal involving South Korean President Park Geun-hye that ended in her impeachment over involvement in alleged money laundering activity. Park is accused of using her seat of political power to pressure several large South Korean corporations into donating money to two foundations that were personally run by a longtime friend of hers, Choi Soon-sil. It is also alleged that Park oversaw the siphoning of funds from these two foundations by Choi, who is currently in custody on charges of using her personal connections to gain improper government influence and financial benefits. Feelings of mistrust and anger amongst South Korean citizens towards their government ran rampant shorty thereafter, leading to multiple public protests and the eventual election of a new President. These attitudes are not confined to East Asia however, as sentiments of disenchantment stemming from increased levels of political corruption are prevalent amongst the populace of various countries around the world, and the pessimistic views held by the people towards the political parties and figures representing them are at an all-time high worldwide. The article “South Korea’s scandal reignites the global debate on corruption”, cited in BSA News Now on December 14th, regards the Park controversy as “the most common type of corruption” where there is a misuse of power in order to obtain something of value for private interest (Grasso, 2016). This case also demonstrates just how complicated the task of suppressing corruption and financial crime can be, especially at the political level. 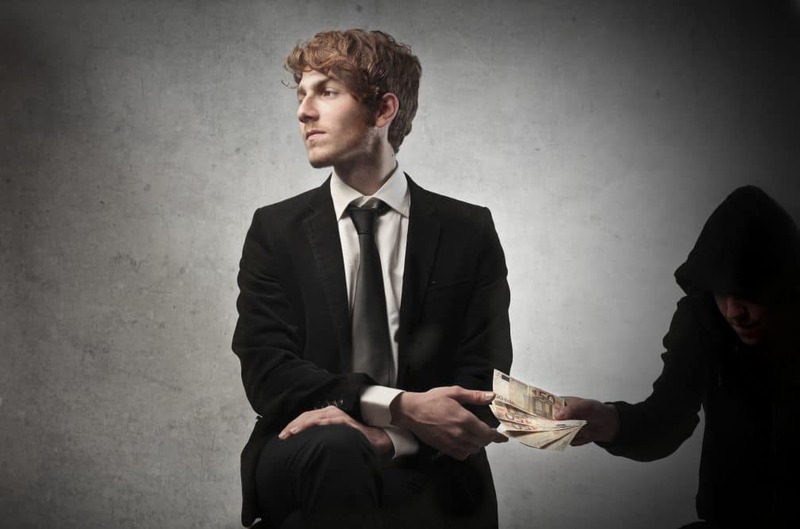 Nevertheless, writer Costantino Grasso, a Business Management and Law expert from the University of East London, offers several suggestions that could aid corruption-plagued nations in the correction of their negative tendencies. Grasso states that a common area of failure for these nations suffering from systemic corruption is in allowing anyone who is newly elevated to power, regardless or age, gender and other factors, to become entrenched in the same corrupt activities that have led to the downfall of their predecessors. Grasso suggests that “to fight corruption effectively, we have to change prevailing cultures of elistism and clientalism” and that “the public, private and philanthropic sectors alike have to be cleared of appointees who did not obtain their roles on merit” (Grasso, 2016). While there is no exact solution to bring political corruption to an end, the aforementioned suggestions, along with effective law enforcement actions, promotion of transparency and government openness, and greater access to information, are areas that can be improved upon for all nations with histories of corrupt government activity, as well as for those who do not want to fall victim to this global trend. In other corruption related news, an unprecedented move made by the Prime Minister of India in November of 2016 aimed at increasing financial security primarily by catching tax evaders has led to a plummet in economic liquidity rates and a major cash shortage for the people of India. Due to the fact that “a significant portion of India’s cash is ill-gotten or undeclared”, the Prime Minister moved to invalidate 500 and 1,000 rupee notes in an attempt to make all of India’s cash accounted for, while also forcing tax evaders to come forward and declare their assets and subsequently pay large financial penalties, in order for them to avoid taking huge losses. However, this plan hinged upon it remaining a clandestine operation, as tax evaders would be able to convert their illegal funds into other forms of physical assets in order to avoid detection if it was made public. The Washington Post reported that this need for secrecy meant that “the minting of new notes — new 500s, and 2,000s instead of 1,000s — could not happen in earnest until well after the invalidation was announced, lest a whiff of the change seep out” (Bearak, 2016). This lengthy process of printing new currency has set India’s economy back significantly, and has led to profound cash shortages in the South Asian country, which has seen banks setting limits on the amount of money allowed to be withdrawn at their ATM machines at given times. Additionally, economic staples such as the agriculture and manufacturing sectors have suffered major slowdowns because of the cash shortages as well (Bearak, 2016). The repercussions stemming from the demonetization practices might have been justified had this process been effective. However, it seems that the new money has done little to hinder corruption and unaccounted for assets in India. According to the article “India’s brand new bank notes are already being used for corruption”, cited in BSA News Now on December 16th, “India’s Income Tax department said that it had recovered 202,200,000 rupees (roughly $3 million) in new 2,000 notes” from two states alone on December 14th (Bearak, 2016). While Prime Minister Modi has vowed to continue his fight against corruption, member’s of his own political party have themselves allegedly been involved in money laundering activities involving the new currency, with one politician from his party being arrested with possession of 3.3 million rupees in new notes earlier this month. The numerous cases of large asset seizures in India are becoming so common that many believe that the new money system is not only a second coming of the old “black-money” system, but a more severe reincarnation. With that being said, it is safe to say that Prime Minister Modi has a lot of work to do to slow the corruption cycle in India, as well as to regain the trust of Indian citizens. Shifting focus to another Prime Minister, Peru’s attorney general’s anti-corruption unit has “reopened a corruption inquiry into whether current President Pedro Pablo Kuczynski helped a Brazilian company win public work contracts while he was prime minister a decade ago” (Taj & Bell, 2016). The article “Corruption probe into Peru’s president reopened”, found in BSA News Now on December 15th, reports on collusion accusations against Kuczynski and ex-Peruvian President Alejandro Toledo which allege that there was a change in “bidding rules so that a consortium led by Brazil’s Odebrecht SA, an engineering and oil conglomerate, could compete for infrastructure contracts worth more than $500 million” in 2006(Taj & Bell, 2016). Kuczynski has been no stranger to corruption claims in his short time as President of Peru, as he recently fired his health advisor for the plotting of corrupt activities that were discovered in leaked audio tapes dating back to September of 2016. This among other events also led to the President vowing to “double down on his efforts to uproot widespread graft in Peru” (Taj & Bell, 2016). This effort does not seem to be off to a very good start however, given the emergence of these past corruption allegations against him, which has led to a plunge in approval ratings from 63% to 48% since September. Used for Corruption.” The Washington Post. WP Company, 15 Dec. 2016. Web. Debate on Corruption.” The Conversation. 12 Dec. 2016. Web. President Reopened.” Reuters. Thomson Reuters, 13 Dec. 2016. Web.